Lorenzo Cain is not a name to disregard in the prestigious Major League Baseball (MLB). The American baseball player plays as a center fielder for the Milwaukee Brewers. For his remarkable skills, the talented player has garnered lots of accolades and recognition in the course of his playing career. To his name, he has two Wilson Defensive Player of the Year Awards. He also won the 2014 American League Championship Series Most Valuable Player Award. It will be quite interesting to know more about the player. On this note; Here are lesser known facts about the baseball player. He was born on April 13, 1986, in Valdosta, Georgia. Having lost his father at a very young age of 4, Lorenzo was raised alongside his brother by his mother, Patricia. Cain did not play baseball as a child unlike most of his counterparts. Instead, he started playing the game in his sophomore year at Madison County High School where he attended. Notwithstanding the challenges, Cain still made it to the MLB. He started with minor leagues after he was drafted in the 2004 amateur draft out of Tallahassee Community College. The Milwaukee Brewers selected him in the 17th round after which he started playing in 2005’s Helena Brewers and AZl Brewers league. Cain graduated to Class A West Virginia Power and next to their Class A-Advanced Brevard County Manatees in 2007. He played for the Milwaukee Brewers for the first time in 2010 when he was called to replace Doug Davis who was on the disabled list. After a short time with the team, he moved on trade to the Kansas City Royals in 2011. Reports had it that the baseball player had been signed to a one-year contract by the team. But as a matter of fact, he ended up playing for the Royals for six years. Cain hit 301/.339/.412 with five HRs, 29 doubles, 46 RBI, and 55 runs in all 133 games in the 2014 regular season. Game 2 of the American league Championship series saw Cain exhibit profound tenacity as he made impressive records in the game against Baltimore Orioles. His feat at the championship earned him the ALCS Most Valuable Player Award. At the end of the Game 2, Lorenzo recorded a 533 batting average, eight hits, five runs bad also recorded mind-blowing defensive plays. He met a 2-game suspension in April 2015. Although there were no follow ups on the issue, the talented player recorded an impressive 16 home runs, 101 runs scored, 72 RBI’s as average at the end of the 2015 regular season. Lorenzo Cain continued to make more impressive records in the sports throughout his time with the Royals. He made a return to the Brewers in 2018. After long years with the Royals, Cain signed a $80 million contract with the Brewers in January 2018 and was named to the 2018 MLB All-Star Game. The MLB player has garnered so much over the course of his professional career. The baseball icon sits on a net worth estimated at $19 million. Cain seemed to have made little income after he debuted in the MLB with the Milwaukee Brewers in 2010. But his second stint with the team saw the talented player reach an enviable financial status with the mouthwatering $80 million contract. Lorenzo also garnered so much wealth during his time with Kansas City Royals. For the year 2016 alone, he earned a whopping $6.5 million as salary. This excludes his other financial endeavours. 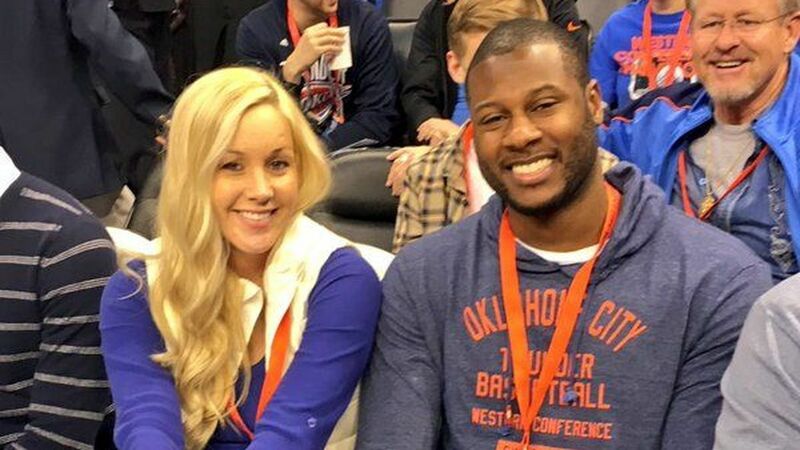 Lorenzo Cain may seem so busy or entangled with his professional career but the baseball player like most of his counterparts makes out time for his family. He is married to his wife Jenny Cain. The couple got married in 2013 and have been together since then. Together, they have three children; Cameron their first son was born in 2014. Their second son, Jayden was born two years later in 2016 and only a year later, the couple welcomed their third son Landyn in 2017. Lorenzo Cain has a body build that suits his challenging career. He stands at a height of 1.88 m which is quite proportional to his weight of 93 kg. The Milwaukee Brewers player has a sturdy body build which gives him all the stamina he needs when playing.